The Outer Banks Community Foundation is proud to once again be a part of the Southern Shores Historic Flat Top Open House Tour on Saturday, April 12, 2014. The event will include the self-guided cottage tour from 1 pm to 5 pm, and a lecture on the historic architectural form at 11 am. Tickets are just $5, and all proceeds will benefit the Flat Top Preservation Fund of the Outer Banks Community Foundation. The presentation was designed by Marimar McNaughton, author of Outer Banks Architecture, who cannot attend the event due to a birth in the family. The presentation includes dozens of historic photographs drawn from the files of the late historian David Stick, whose father, Frank Stick, designed the homes. Those who took the tour in 2013 will be delighted to find several new cottages on this year’s tour, including the charming Buckley Cottage and the delightful Pink Perfection on the oceanfront. The $5 tickets will be available the day of the tour at the 11 am lecture at the Pitt Center, or beginning at 1 pm at either of the two flat top headquarters: 156 Wax Myrtle Trail (facing Porpoise Run) or 13 Skyline Road (the Community Foundation office). Participants are encouraged to start the tour at either of the headquarters to purchase tickets and to pick up maps and cottage descriptions. The open houses will also be marked by red and blue balloons. The tour is self-guided and self-paced. Parking is available at both headquarters and elsewhere along the tour, and several clusters of cottages are within easy walking distance of each other. The historic, flat top cement block cottages of Southern Shores once dominated the town’s architectural landscape. Today, more than thirty examples of this original style still remain as flat tops, most built from indigenous Outer Banks materials. 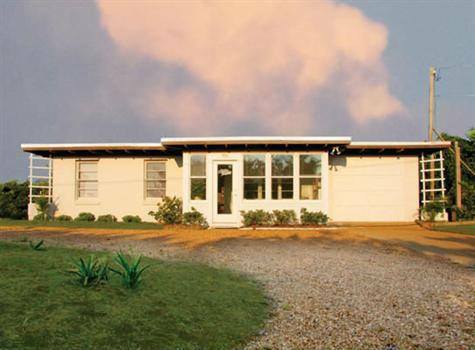 This style was envisioned by wildlife artist and developer Frank Stick, and most of these homes were constructed from the 1940s through the 1950s. 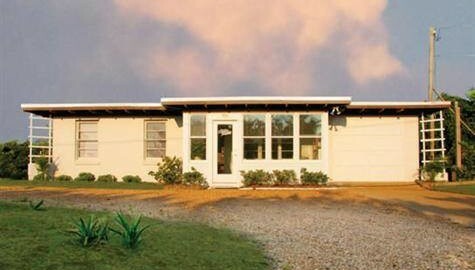 All of the proceeds from the tour will benefit the Flat Top Preservation Fund, an endowment established in 2009 for the purpose of maintaining and preserving in perpetuity the 1953 flat top cottage at 13 Skyline Road, which was bequeathed to the Community Foundation in 2007 by an anonymous donor. The cottage is now used as the Community Foundation’s office, and it is the only flat top in permanent protection. The Flat Top Preservation Fund is used for necessary and historically accurate repairs and maintenance. Anyone can contribute to the Flat Top Preservation Fund from our donation page, by clicking “Other Fund” and selecting the Flat Top Fund from the list that appears. More information is available at the Facebook page for Southern Shores Historic Flat Top Cottages. The day before the Flat Top tour, the Kill Devil Hills Historic Landmark Tour will take place from 1 to 5 pm. Information is available at Kill Devil Hills Town Hall. For additional information about the Southern Shores Flat Top tour, please contact Sally & Steve Gudas at 804-399-8342 or seatide1 @ gmail.com.